Alomst every building in Balakot was destroied during the eartquake. Three months later, the inhabitants lives in tents and temporary houses. 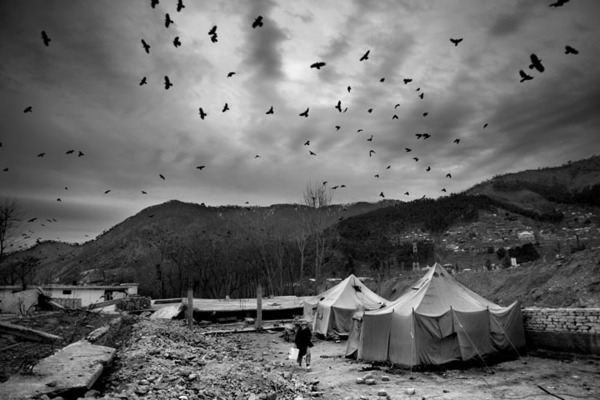 Balakot, Pakistan, January 27, 2006. Espen Rasmussen, "After the Quake," in POYi Archive, Item #46206, http://archive.poy.org/items/show/46206 (accessed April 18, 2019).